Jesus calls His followers to be lights in the midst of darkness. If you’ve ever been to (or thought of going to an ABA book conference), the darkness is rampant. 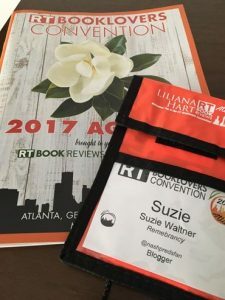 During the first week of May, I got to hang with other readers at the RT Booklovers’ Convention in Atlanta, GA. 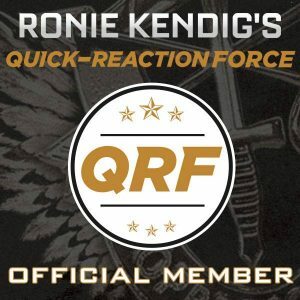 This convention moves every year, and in 2018 it will be in Reno, NV. But despite the ever-changing city, the crowds flock to this convention for the parties and opportunities to meet with their favorite authors. I’m by no means an expert at book conventions but this was my second RT (I went to Vegas for my first RT in 2016) and I thought I’d pass along some tips and hints to make the trip more enjoyable and worthwhile. And if you hang with me until the end of the post, I’m doing a BIG giveaway for fans of Christian fiction (with multiple winners)!! Believe me, you’ll want to stick around and enter!! 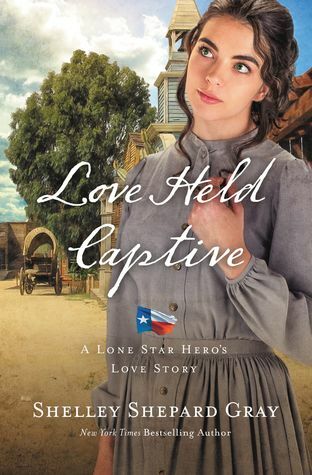 Overwhelmed by the responsibilities of running a ranch on her own, Laurel Tracey decides to hire a convict—a man who’s just scary enough to take care of squatters and just desperate enough to agree to a one-year post. The years following the war have been hard on Laurel Tracey. Both her brother and her father died in battle, and her mother passed away shortly after receiving word of their demise. Laurel has been trying to run her two-hundred-acre ranch as best she can. Let me start with the most important information. I loved this book!! 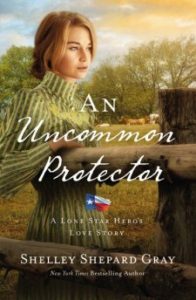 I’ve only read a couple books written by Shelley Shephard Gray but after reading An Uncommon Protector, I’m a fan. The development of both Thomas Baker and Laurel Tracey in this book were spot on. The author manages to introduce the reader to a man who has lived a hard life and is currently in prison in such a way that they sympathize with him instead of disliking him. Thomas Baker has a past but he also is a man you can respect. While readers get a glimpse of Laurel’s bravery from the first chapter, as the story continues, the layers of her character are revealed. 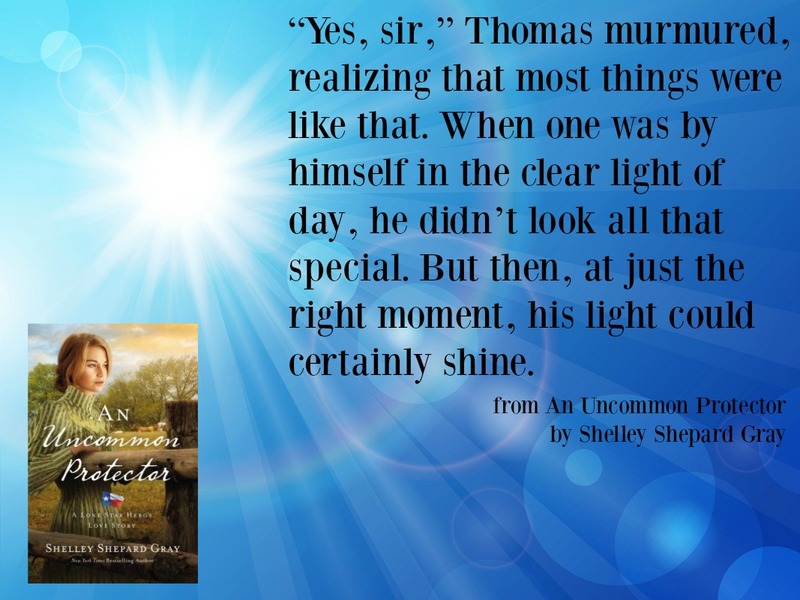 The attraction between these two is evident from the first time they see each other and only builds throughout the book. But that’s not what the book is really about. Both Thomas and Laurel are struggling to stand on their own two feet, to find their places in life. But maybe standing beside each other is better than standing on their own.